Fuga is a tattoo studio in Shinjuku, Tokyo, which caters to a variety of people and tastes, creating anything from full back pieces to delicate, discrete tattoos. The studio space allows for private consultations with a female tattoo artist. The tattooing area is separated from the rest of the studio, so you can relax and enjoy the experience. With a huge client base consisting of both men and women, Ryu pours her heart into creating bespoke designs based on the desires of her customers. As well as tattoos, the shop sells a variety of silver accessories at reasonable prices, so there is something to browse through while waiting for your appointment or consultation. Feel free to come in and check out the studio before deciding whether or not you would like to book an appointment! Please note that Ryu doesn’t speak English. If you don't speak Japanese, please e-mail us at fugatattooshop@forest.ocn.ne.jp and we will try to make sure that an English speaker is present for your consultation or appointment. If due to scheduling this isn’t possible, we will be able to e-mail in English, or discuss your tattoo on the phone. Ryu was born in Koriyama City, Fukushima Prefecture, Japan. 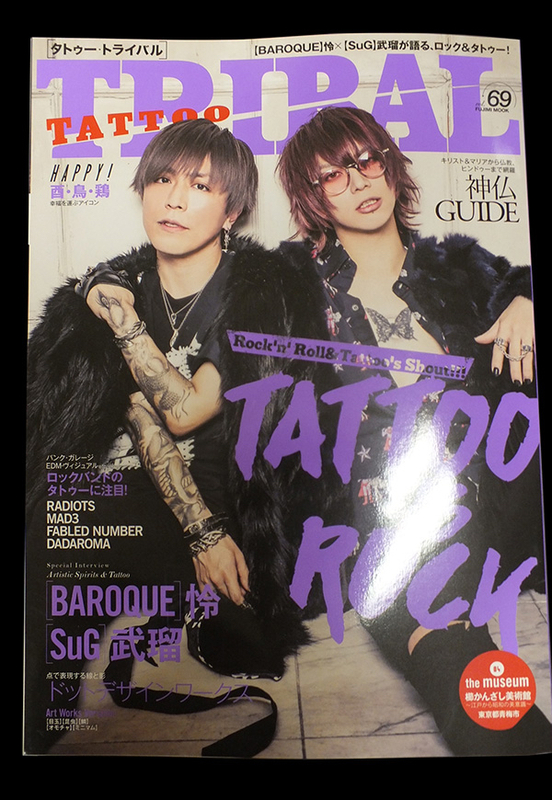 When she was just in her 2nd or 3rd year of Junior High School, a young Ryu saw a tattoo magazine in a bookstore and instantly fell in love. She thought the tattoos inside were beautiful, and decided that she wanted to get a tattoo one day. When she turned 20, she got her first dragon tattoo, which was to become her namesake. While she was getting it done, she paid close attention to what the artist was doing, and thought that it was a trade that she also wanted to learn. She bought a tattoo machine, and started practicing on her own leg. Doing better than expected, she then entered an apprenticeship, where she trained for 5 years before becoming a pro and opening her own studio in Koriyama, Fukushima. With business going well, she set her sights on Tokyo, and opened a studio in Shinjuku. Yana was born in Ukraine and raised in London. She speaks English, Japanese, Russian and Ukrainian. She got her first tattoo at 21, and acts as an English consultant at Fuga. Fuga Tattoo prides itself on its cleanliness and hygiene. All items such as needles, ink, ink caps, gloves, etc. are discarded after every use. Items such as the grip and tube are first placed in an autoclave before being put in a sterilizer to ensure complete safety after each use. *Please note that prices may change based on the details and difficulty of a design. · All larger pieces are priced at 12,000 yen per hour. · You will be informed of the cost of your tattoo during the consultation. Fuga Tattoo is an appointment studio. However, if there are no reservations, we also accept walk-ins, based on the artist’s availability and difficulty of the design. Please call beforehand if you are interested in a same day appointment. 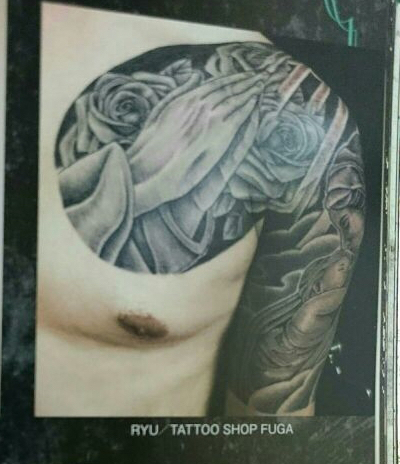 Please be aware that Ryu doesn’t speak English, so if you require consultation in English, please e-mail us at fugatattooshop@forest.ocn.ne.jp. Please be aware that we are only able to reply to English e-mails based on Yana's availability, and therefore may not be able to reply immediately. Feel free to drop in to see the studio, and meet Ryu. The counseling is free, but if you would like to make an appointment, please bring a photo ID and a 10,000 yen deposit that will be deducted from the final price of your tattoo. The deposit is non-refundable. Please call the studio as soon as possible if you would like to cancel your appointment. If you would like to change the date or time of your appointment, please give at least 1 weeks’ notice. · Under 18 years of age. · Have a contagious disease or diabetes. · If you have consumed alcohol or drugs. · If you are in high school, even if you are 18 years of age. 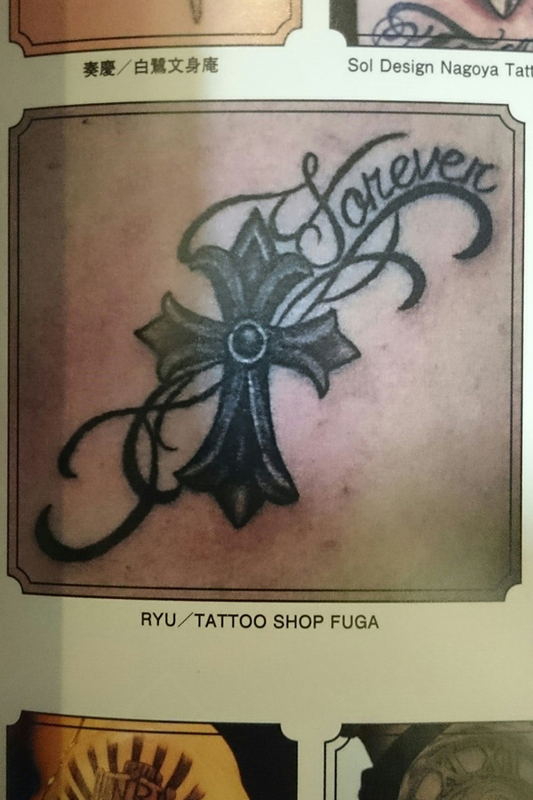 As Fuga Tattoo Studio is becoming increasingly busy, we are looking for a tattoo artist to work alongside Ryu. Compensation will vary based on the amount of work that you do, and will be discussed in a potential interview upon reviewing your application. We are looking for someone with a warm personality, who is serious about their work, motivated, and passionate about tattoos. You need to be fluent in conversational Japanese to apply. Experience in customer service in Japan will benefit your application. To apply, please provide a resume with a photo as well as a cover letter that includes your reason for applying, and experience as a tattoo artist. Please include photos of your work and tattoo designs. The application must be fully in Japanese to be considered. Please note that only candidates who pass the initial screening will be contacted.